she dreams of turning it into a mecca for start-ups. 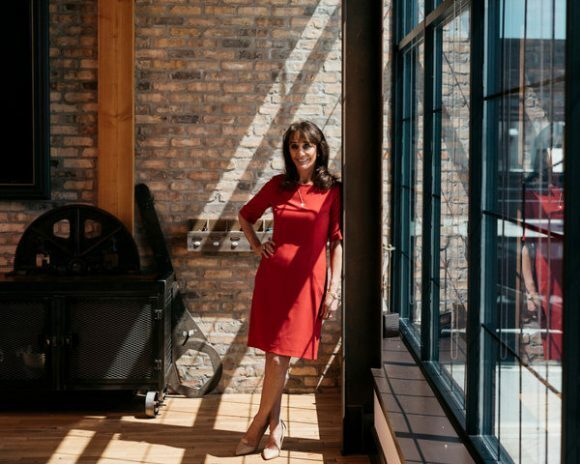 BELOIT, Wis. — When Diane Hendricks sees something she doesn’t like here, she buys it. A bankrupt country club. A half-empty mall. Abandoned buildings. The rusting foundry down by the river. Beloit used to be a town that made papermaking machines and diesel engines. Ms. Hendricks thinks it can be a place where start-ups create the next billion-dollar idea, and she is remaking the town to fit her vision. She can do so because she is the second-richest self-made woman in the United States, behind only Marian Ilitch of Little Caesars Pizza, according to Forbes magazine. “I see old buildings, and I see an opportunity for putting things in them,” says Ms. Hendricks, 70, who got her start fixing up houses here as a single mother and made her billions selling roofing felt, copper gutters and cement with her late husband, Ken. Now Ms. Hendricks is fixing up Beloit. She took the library from its historic location downtown and resurrected it inside a failing mall at the edge of town, replacing the original with a performing arts center where dance and music students from Beloit College can study and perform each year. Then she scooped up nearly every building on a downtown block and knocked each one down, making way for a sushi restaurant, a high-quality burger joint and modern apartments with marble countertops and exposed-brick walls.